Beautiful jewelries!! Love the one on the very left. What a great idea to decorate clips on a vase (is it a vase?). Very neat!! Hi Marie! Think this is the first time I'm leaving a comment even though I've been lurking for a while. Did you make the brooches on the vase?? They are amazing... I'd love to learn how to make those! Hello! thank you for living a comment :) I did not make the brooches on my vase, they are all brooches that I bought a few years ago in Europe and Japan (with the crystals) and the one in fabrics were gifts from o friend. I believe she got the brooch and the pin from an Etsy seller. I can try to get the info if you'd like... or better, I could create my own version of a brooch and make a DIY post about it ? yes! 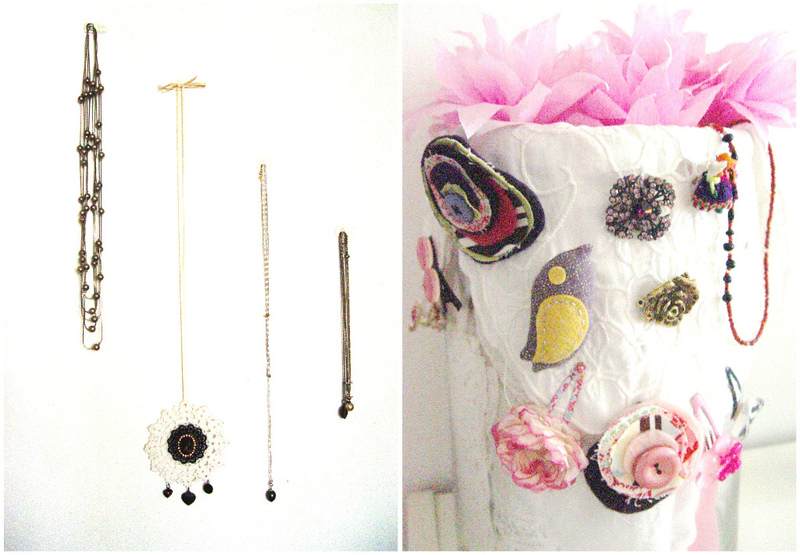 u should totally do a series on DIY brooches, i think it'd be a hit!